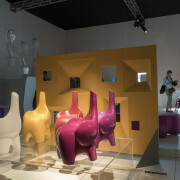 At the last Milan Furniture Fair “Salone del Mobile“, amongst the different trends I surprisingly noticed the reintroduction of a type of furniture which has been forgotten for many years: the Cabinet, a container furniture which is built in double body. The cabinet started to gain popularity in Florence at the end of the 16th century and rapidly spread all over Italy. Its external structure (with the superior part called “studiolo” that resembled a box if not a small architectural structure) provided many drawers, some of them being hidden. According to the Garzanti Italian Dictionary, the definition of cabinet is “a small closet, usually built in refined and variously decorated wood, in which people used to put worthy objects, papers, documents. It was very popular until the end of the 19th century”. The cabinet was mostly popular in the 17th and 18th century, but it’s popularity lasted until the end of the 19th century. It was made out of different materials and built in different shapes, with peculiar decorations on it, for example some cabinets were Greek-temple-like while others resembled Chinese drawers or decorated with turtle scales (like the ones at the Stibbert Museum of Florence), gold plates, little angels, carvings, bronze, brass and silver reliefs, mountings or even paintings over glass. Cardinal Mazzarino was a great appreciator of this kind of container furniture. He owned a very wide range of different ebony Italian cabinets. These cabinets were commissioned by artists from Florence and enhanced with “pietre dure” (Florentine mosaic with natural hard stones), ivory and turtle scales. King Louis the 14th as well owned cabinets made by Italian artists, which were very impressive and complex, often decorated with amber, silver and quartz. 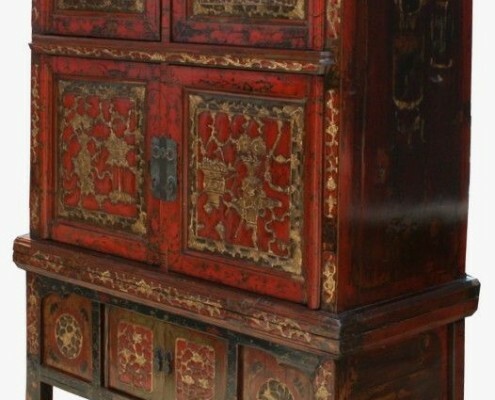 These cabinets provided also many hidden drawers, with golden bronze decorations. Like important and representative pieces of furniture, these cabinets were often placed in the Wonder-rooms of the Renaissance, in which the rich collectors used to exhibit precious and rare objects from all over the world. The cabinet is the highest expression of fine ebony woodworking and handcrafting techniques that even nowadays define the distinctive style of the artisan master’s works in Tuscany. The most expensive piece of furniture in history seems quite to be the Florentine Badminton Cabinet, which was made for the Duke of Somerset, assembled between 1726 and 1732 and later sold in auction in 2004 to the amount of 23 million euro to the Lichtenstein Museum of Vienna. 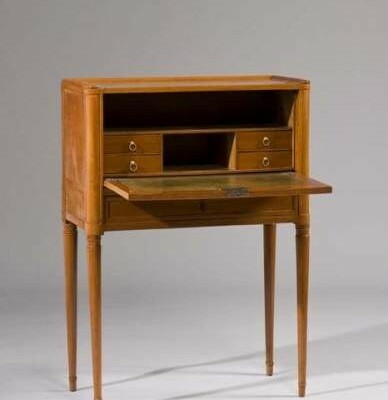 The cabinet was also designed to be placed over a cupboard or a desk, with minor proportions, less depth and more narrow-shaped, blocked by a molding, or in a further smaller shape, often made out of silver, to store jewelry inside. 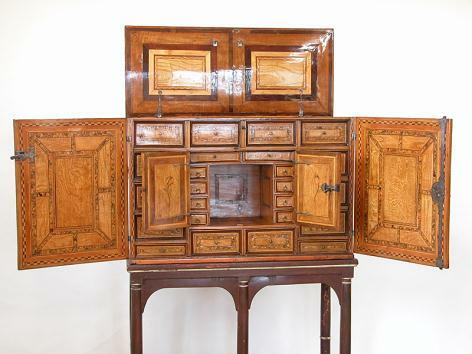 These type of smaller cabinets were quite popular in the 18th century. The versatility and the nice aesthetic value of the cabinet make this a good choice of furniture for the living room. The modern cabinets, however, don’t provide only a single central structure anymore. Instead, their configuration and structure can be customized. The ancient tradition of Italian handmade custom furniture is one of the most stylish and appreciated in the word. If you agree click OK, or read how we use the data and how to manage your preferences in the cookie privacy.